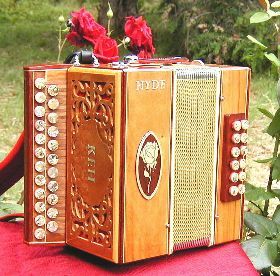 Accordion comes with case and straps. 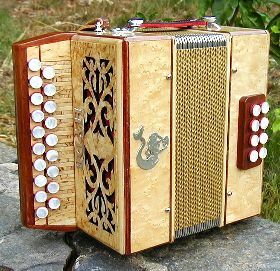 Italian hand-made reeds and top quality hardware and bellows are used. 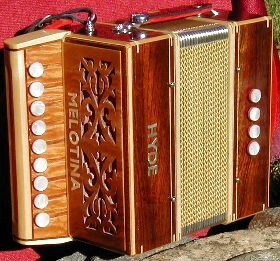 Your choice of timber, you may even supply your own. 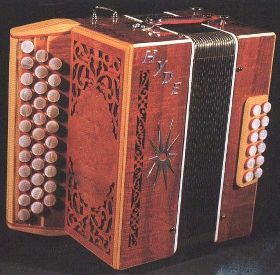 The set of numbers after the name of each model (Hornet 30-2-12) refers to; the number of treble buttons-the number of reeds per note-the number of bass buttons. 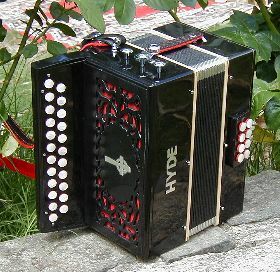 Because all Hyde Instruments are custom built prices are on application only. 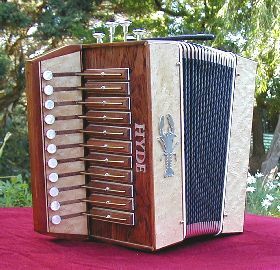 Email Hyde Accordions for a price on the custom instrument of your choice, before proceeding to the order form. Click on any picture below to see the larger version in the Gallery. 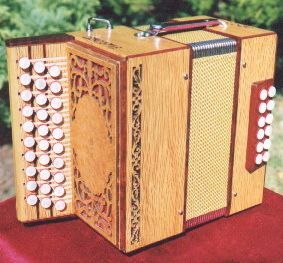 Transit Case (Sturdy and protective) P.O.A.